So, you are at the point where your client base has grown and you want to start building a community around your brand. Your business is growing, which is great, but now you need to start thinking about how to streamline your business so you have more time to run it. It is time you start looking for software that can easily communicate and stay in touch with your current and prospective customers. Email marketing is a very powerful tool for brands looking to connect with their customers and increase engagement. Don’t listen to people who say email marketing is dead. Here are just a few statistics that prove email marketing remains one of the best ways to reach and convert your customers and leads. So many businesses concentrate on getting new leads into the sales funnel without thinking about nurturing their existing relationships. While emails are great for new leads, you should also be updating your current customers with interesting and relevant information. Email marketing is an effective way to gauge your audience’s interest in your brand. Not only can you see which contacts opened your emails, but you can also see who clicked on what links. This is a great way to re-engage non-engaged clients as well as learn more about what each contact is interested in. A few important metrics to measure include open/read rate, click through rate, and unsubscribe rate. These metrics tell you if your content is effective, interesting, and relevant. It is important to be able to reach your buyers when they are on the go so you can stay top of mind. You’ll see from some expert advice below, mobile responsive emails are crucial. This ensures that your emails are being viewed properly on every device. Movable Inc reports 66% of emails opened are on a mobile device, so don’t ignore mobile responsiveness! 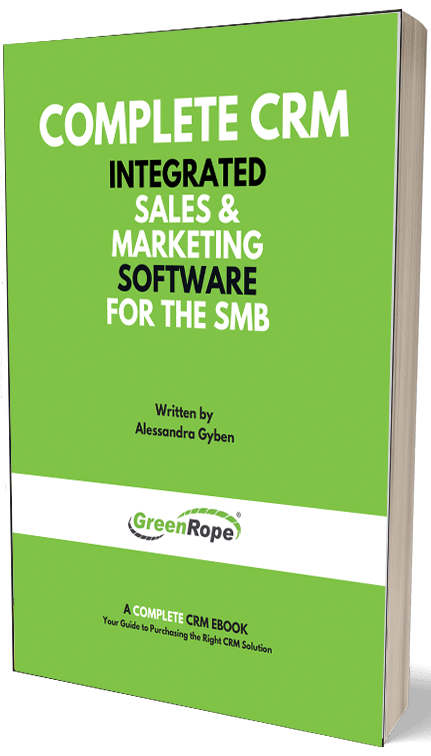 I also spoke with the GreenRope team and asked them what advice they would give to small business owners looking to implement email marketing into their strategy, here is what they came up with. Tom Suchy, a GreenRope developer, has a few points on the matter. First, he strongly advises against buying lists. This is the first way to spam people because they didn’t opt-in. He also believes that less is more when it comes to sending messages, as they can overwhelm or annoy your audience to the point where they unsubscribe from your list. Finally, Tom recommends that businesses test different messages to different subsets of your audience to gauge performance. Doing so allows you to tweak your future emails to better fit the needs and wants of your customers. “Make sure the content is compelling and relevant to the brand,” says Client Services Manager, Dan. “Email marketing is crucial for brand awareness, as well as facilitating communication between the brand and consumer/client.” It’s important to make sure the look and feel of your emails match your website and overall brand identity. “Definitely make sure the emails are built for mobile devices, and tested properly on those devices,” says Client Services Manager, Ryan. “Using a responsive design is by far the best option and where the industry is currently headed.” Always test your email in different email clients and on mobile because you want to make sure it looks good in a variety of email clients, browsers, and mobile devices. Email marketing is extremely powerful, especially when you start automating the process. It is a great way to increase your productivity and efficiency when communicating with your leads and clients. If you are ready to implement email marketing, contact us and we will set you up with a demo and free trial.